My long weekend began well, when my husband was invited for the celebrity preview of Chennai Express. Now who wouldn't want to land amidst flashing cameras with nice blow dried hair and a designer dress. I happily went shopping (an activity that I had not indulged in a long while) and made appointment at the beauty parlour and came home with an aching feet and a happy thought. Around nine, my husband calls me saying, "Hey listen, Actually the preview is today. I am coming there within an hour. Get Ready!" This is quite typical of him by the way. With dreams of a great blow dried hair crashing all over me, I got dressed and informed Raks that we are going for a late night doctor visit for which she asked, "Why are going so dressed up for a doctor's visit? You are supposed to be sick aren't you?" We hurried out before she could divine the fact that we are going for a movie. We got into the theatre complex amidst a huge crowd turnout that included media. A PR came rushing towards us to shake hands with my husband, which prompted the rest of the media towards him. With their mikes attached to cameras they asked him about the movie. And while he was at it, I got my share of stares, speculation and pointed fingers which was a bit disconcerting because I was wondering if something was wrong with my hair other than the lack of blow dry. As people streamed into the theatre, I realized that I was staring at everyone and everyone was staring at me. Possible reason could be that this being a celebrity show, many were wondering whether I was a celebrity, character artist or at least a TV serial actress while I was wondering the same about others. Now the thing about watching a movie with anybody from the film fraternity is that they tend to take the romance out of the whole thing. For example, when you are watching 'Gone with the wind' you don't really want to know that Clark Gable had very bad breath so much so that Vivian Leigh actually fainted when he kissed her. 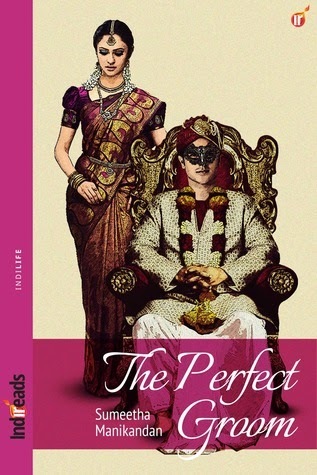 So I could have done without the information that the editor worked on Shah Rukh Khan's face or that Sathyaraj's moustache was extended with some photoshop (or some software!). Nonetheless, it was good fun watching Shah Rukh spouting tamil words and Deepika's unconvincing portrayal as a tamil girl. Sathyaraj seemed to be on the screen just to hold Deepika's hand (lucky guy). We have seen Shah Rukh doing the same old jig of helping helpless ladies onto the train in DDLJ. But in Chennai Express he does the same with a difference. He helps beefy, fat tamil goondas to board the train which is quite funny. This is a brainless entertainer so better leave those grey cells at home and board the train.